Workplace Giving is a joint relationship between employers, employees and charities. Individuals contribute a small portion of their pre-tax salary to charity and receive the tax benefit straight away rather than waiting until the end of financial year. 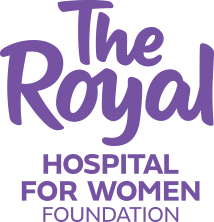 You are able to regularly donate to The Royal Hospital for Women Foundation directly from your pre-tax pay employer’s automated payroll system. This only takes a little amount of time to setup and can make a huge difference to the lives of women and babies. Giving from pre-tax income means donations cost you less, your taxable income is reduced and we receive the full benefit of the donation. Ask your HR or payroll department if you can take part in their workplace giving program and allocate your charitable donation to The Royal. Select the amount you wish to donate each pay and confirm this with your HR. A number of workplaces match each donation so be sure to check with them if they can match your chosen amount. Your employee will then contact us to confirm the donations and commencement date.